Ladies, you know the feeling: Whether you’re shuffling through an airplane to get to your seat, making your way through a crowded foreign city, or preparing yourself for an out of town adventure, your travel backpack always seems to have some flaw. It could be that it’s missing that perfect pocket to hold your cell phone, or it has no supportive waist straps, or maybe it feels bulky while not actually holding that much stuff. Whatever it is, fear no more about the woes of backpack misery, we have compiled a list of the four perfect travel mates for you. 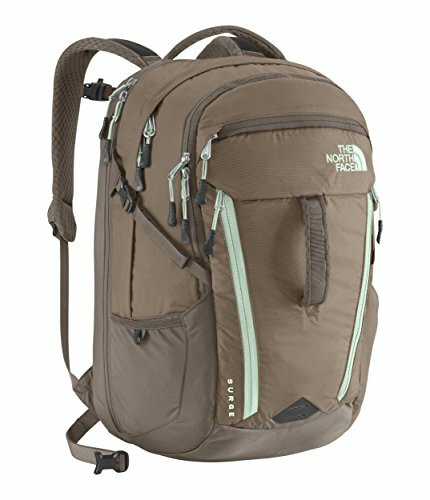 How do I choose the best backpack for me? Uses Bi-Tech fabric, a durable, waterproof material. The backpack has adjustable, breathable, and comfortable straps so you can cater to your body shape. Being a premium travel brand, the bag is significantly more expensive than the other featured travel packs. This backpack is only a day pack, so unless you are doing a weekend trip you probably won’t be able to pack all of your things in it. While this is the perfect backpack for any student who has a persistent workload, it can be used for any occasion. Also, it has been designed to ensure that your travelling experience will be simple and painless. 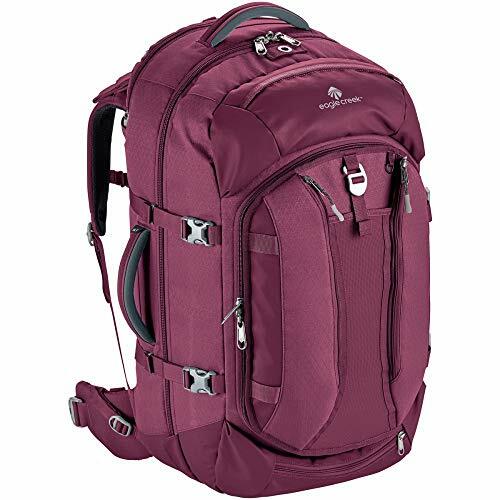 This 26-liter backpack is manufactured from durable ballistic imported nylon. It has a front organizational compartment, a larger main compartment, and a pocket that can hold a 17″ laptop. The fleece-lined pockets include a tablet sleeve, a media pocket, and a compartment for sunglasses. This is truly the backpack for an organized woman. This is definitely one of the most comfortable backpacks on the market. It is one bag that is extremely lightweight, and will, therefore, not add to a heavy load. This backpack is your basic multi-purpose bag for most of your daily burdens. The super cool style and water repellent material provides a casual feel that will make you happy to carry it. This backpack is made from durable nylon and canvas. 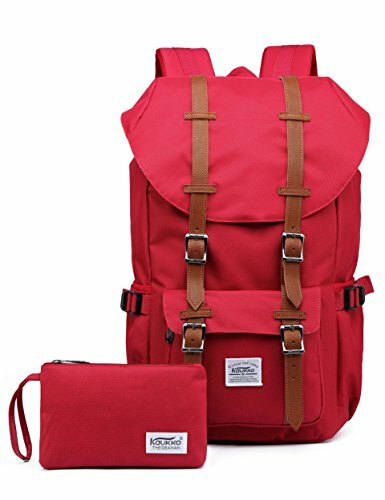 In addition, the inner parts are made from cotton, while the backpack itself comes in various colors. These colors include Black, Nylon Blue, Nylon Red, Nylon Gray; Canvas Navy Green, Canvas Apricot, and Canvas Black. With such variety, you can really find the color that works best for you! In its computer compartment, you can carry your 15” laptop, while the main outer bag can hold an 18” laptop. In addition to the laptops, you can fit a number of other items if you so desire. You can use this bag for many other purposes like camping, hiking, and traveling! The SwissGear Travel Gear ScanSmart Backpack 1900 will give you the advantage of being able to carry all your gear with no hassle. 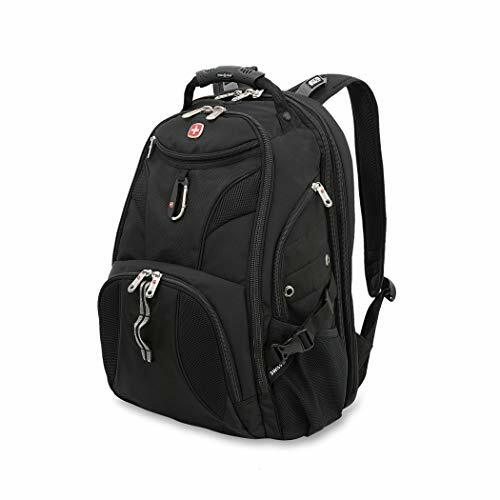 You need to remember that other bags in its class do not ordinarily allow you to carry as much as this backpack. The Swissgear 1900 ScanSmart Laptop Backpack is made from strong, 1200D ballistic polyester fabric. A large main compartment provides with rugged oversize zippers and adjustable side compression straps. The padded back panel with Airflow ventilation technology makes this the most comfortable bag you will ever own. One of the other features of this backpack includes a protective floating tablet pocket. This backpack has a lot of room, and allows you to carry gear that would normally get left behind. If you like this backpack, we urge you to read our Swiss Gear Backpacks Review. comfortable, supported hip straps to keep the weight off of my back so that I can carry the backpack around all day. a short frame in order to accomodate my shorter torso. A backpack that can fit all of my necessities, but isn’t so big that it doesn’t fit as a carry on (around 45 liters is perfect for me). Whether you are going on a short weekend trip or a month long, epic journey, the perfect travel backpack is out there. 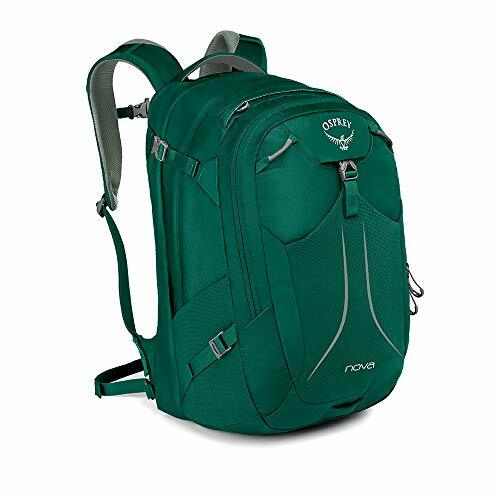 If you want an overall stellar backpack with a versatile size that is made by a reputable company, then the Osprey Fairview 40 is perfect for you. With an average rating of 4.9 on the REI website and a reasonable price of $160, it is a hard pack to beat. On the other hand, if you are looking for a bigger, more durable pack with the traditional interior structure of a suitcase, then you may want to splurge on the Eagle Creek Global Travel Companion pack. 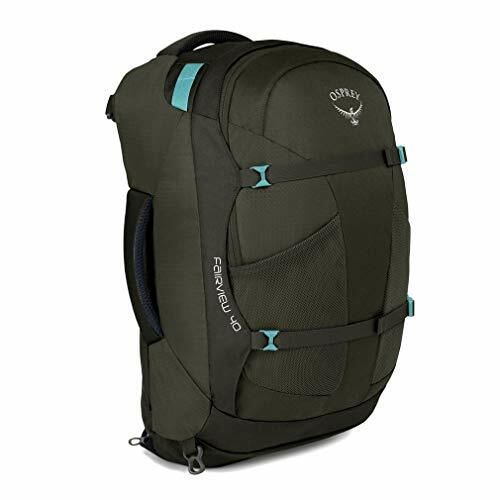 And finally, if you are a working gal who takes short trips frequently, then the Osprey Nova 33 pack could be exactly what you are looking for. Whatever you end up choosing, know that these four backpacks have the ability, design, and function to be your perfect pack partner.